OLYMPIA, WASH. (JUNE 30, 2017) – After many months of thoughtful, strategic planning by Democrats, Republicans, businesses and labor, Washington has proposed a balanced, bipartisan law to create statewide paid family and medical leave. Stakeholders have logged long hours throughout the lengthy legislative session to make this new benefit a reality for Washingtonians. Women with pregnancy complications can take two additional weeks. Employers and employees both contribute to the program through a payroll tax. Businesses with fewer than 50 employees are exempt from paying premiums. No matter the business size, employees will pay into the system and are eligible to receive benefits. Employees qualify for the program after working 820 hours. Requirements for employers are in line with the current Federal Family and Medical Leave Act standards. In 2007, the state created a family leave program, but the law did not fulfill its potential because the Washington State Legislature was unable to pay for it. This year, lawmakers have found a way to make it work. Washington now joins four states that guarantee paid family and medical leave: California, New Jersey, Rhode Island and New York. This proposal is a win for the divided Legislature as it completes its third special session for 2017. “With little agreement at the capitol, this legislation could pave the way for more compromise and forward momentum,” said Jan Teague, Washington Retail Association president and CEO. Tonight the measure passed the Senate 31-12 with applause in the chamber. The measure now goes to the House and the Governor’s desk. For more information on Washington’s paid family and medical leave please visit Family.SenatorFain.com. Hospitality is the industry that serves. 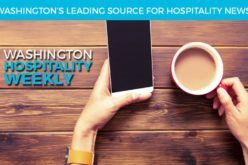 The Washington Hospitality Association has served its members and helped them succeed for eight decades. Our industry is the largest private employer in the state and our employees are our greatest asset. 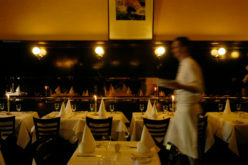 Local restaurants and hotels employ 268,000 people. These jobs are the backbone of our state economy. The hospitality industry generates $16 billion for our state in direct financial impact. Our industry pays more than $1 billion in B&O taxes and more than $5 billion in wages annually. The hospitality industry is key to the health of our state, the careers of our citizens and the vitality of our communities. Formed in 1904, the Association of Washington Business is Washington’s oldest and largest statewide business association, and includes nearly 7,000 members representing 700,000 employees. AWB serves as both the state’s chamber of commerce and the manufacturing and technology association. 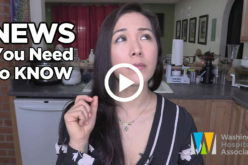 While its membership includes major employers like Boeing, Microsoft and Weyerhaeuser, 90 percent of AWB members employ fewer than 100 people. More than half of AWB’s members employ fewer than 10. For more about AWB, visit www.awb.org. Established in 1987, the Washington Retail Association represents more than 3,500 retail storefronts across Washington State. Its membership includes a range of companies from large national chains to small independent businesses. It includes wholesalers, dealers, professional services and mall operators and owners. Northwest Grocery Association represents the retailers, wholesalers, brokers, manufacturers and suppliers that support the Pacific Northwest’s $30 billion dollar grocery industry – one of the Northwest’s greatest assets. The mission of the NWGA is to serve as the spokesperson for the Northwest’s grocery industry by promoting the common interests and issues of its membership by providing current communications, leadership and member services.